Happy Valentine's Day ... five days early. What's causing us here at New England Bites to wish you such an early greeting? Candy!!! Our great friends at Phillips Candy House in Boston sent us a wonderful Valentine gift. Imagine a delicious Phillips solid chocolate heart. Now imagine the same heart covered with turtle candies. Yes, turtles. Those chocolaty, caramel, nutty patties of delight. Well our Valentine Turtle Heart arrived today, beautifully wrapped and securely boxed. It was so pretty we hated to destroy it by cutting it up, but we really couldn't wait to dig in. 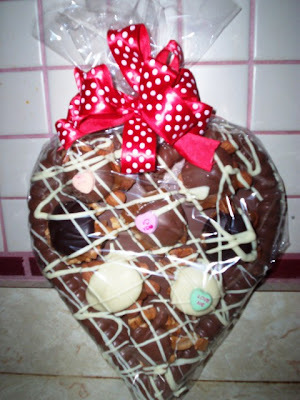 The large chocolate heart-shaped plaque was covered with assorted pecan, cashew and almond milk and dark turtles drizzled with white chocolate. All Phillips' candy is homemade and more rich than sweet. I love this. This particular heart comes with either three, eight or ten turtles sitting on top. You can check it out and order it right here. 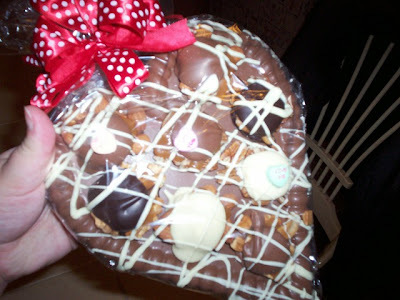 They also have lots of other Valentine treats to give your honey (or yourself). THE VERDICT: Wow... fantastic. This chocolate is so rich and creamy and those turtles are loaded with caramel and nuts (and they do look like little turtles). We had to force ourselves to stop eating it. Thank you once again Phillips Candy House for your generosity. We are like kids in a candy store (pun intended) whenever we taste your delicious products. 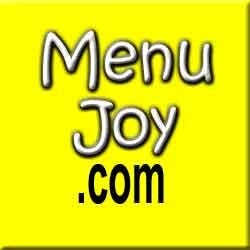 Check out our friends at MenuJoy.com for terrific area restaurant menus.